Lori and her daughter’s birth mom have written The Open-Hearted Way to Open Adoption: Helping Your Child Grow Up Whole. Lori was nominated by Colorado Senator Michael Bennet and named an Angel in Adoption® by the Congressional Coalition of Adoption Institute in 2018. Lori has written several articles for Adoptive Families magazine. 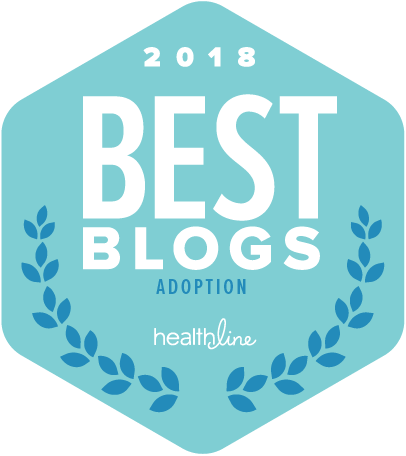 LavenderLuz.com was named a Top Adoption Blog by Healthline in 2016, 2017, 2018, and 2019. 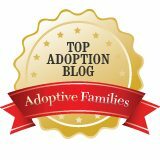 LavenderLuz.com was among the Top 100 Adoption Blogs per Feedspot. 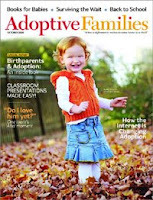 Lori’s was named a Top Adoption Blogger by Adoptive Families magazine. Lori is an occasional columnist on The Huffington Post. Lori was named a Top 10 Must Read Mom by Parenting magazine and BlogHer. Lori spoke at BlogHer12 and at BlogHer08. Lori is a contributing columnist each month at DenverParent.net and was for several years at Mile High Mamas.com, a Denver Post site. Lori was interviewed by ABCNews. In real life Lori rarely refers to herself in the third person. What happens when your left with not enough answers and they still leave you hanging. I thought I was adopted for 45 years. I lost my DL, truck etc. I found out that, through a lot of digging, my parents were declined adoption by the state of NY. Then they got me as a foster child. I was told I was adopted my whole life. Then the Patriot Thing Happened and you needed a Birth Certificate to prove who you are. I go to NY, it takes 3 years of searching, courts, and verbal abuse from ACS and OCFS, that you need to move on. Then questions who cashed the checks, the last follow up with a home visit etc. Then you get a letter from the First Deputy Commissioner of NY, with an apology that you were placed as a foster child. The family never changed your name, never adopted you, and left the state of NY and no one bothered to figure out why. The many times I wished that I had – someone to rescue me. The one of many times the doctors said they would remove me if she didnt stop. Could have been prevented, if they had followed through with where I went, and all. So, three years later, I find out my name isnt mine. So they send my original birth certificate- so now I have to try to attach it to a ss number I am not sure is mine. All my life I swear I had identity theft, since they went to college when I was 7 years old, have a house, cars, etc in NY. Then I find out from OCFS, I am a aged out foster child, and aged out in 93. So I was placed for adoption in 72 and they lost me, into a abusive home and forgotten about. Then I go to them for my birth certificate and takes 3 years. I lose my DL, my truck, and had to go back to a situation I left because of no id. Then, OCFS says they should have my real ss# from back then, as they received funds and I also had hospital bills paid while I was in foster care. No one can seem to help me. I am to old, at 46 now, no one cares that a aged out foster child. (who thought they were adopted until they were 45) cant even buy another car, rent a place, at risk of losing benefits, etc. No one, wants to help those like me, I am the secret of the bunch. Sorry venting. I do know my biological family, but that still doesnt help with all the stuff that ACS and all left me to clean up. I cant find any help. But, now have a new name to adjust to after 46 years.